The logistics involved in moving an entire office can be mind-boggling and can seriously interfere with your daily duties and operations. The smart solution is to find an office moving company with a long-standing reputation for excellence that you can trust completely with your fixtures, furniture and office equipment. Fortunately, Liberty Movers has been providing trusted moving services since 1920 to residents of Worcester and throughout central Massachusetts. As the oldest and most well-established moving company in the area, you can trust in the extensive experience of our Worcester office movers to provide you with the quality services your company and staff deserves. In order to execute a seamless relocation of your operations, the office movers you hire need to have the right combination of expertise and resources at their disposal. 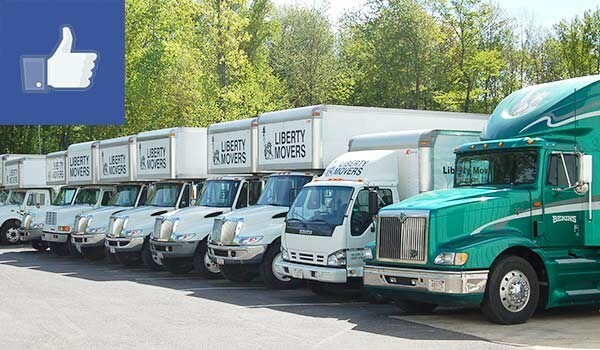 At Liberty Movers, we train each of our staff members in the most efficient moving techniques while providing them with all of the tools they need to complete your move with ease. As a long-standing agent of Bekins Van Lines, we have access to state-of-the-art moving equipment and technologies that allow us to handle office moves of any size and complexity. Save time and money for your business when you hire the professional Worcester commercial movers at Liberty Movers to handle your office move. To find out more about the services we offer or to request a free quote, call us or fill out our online form today!